Trade! Build! Settle! 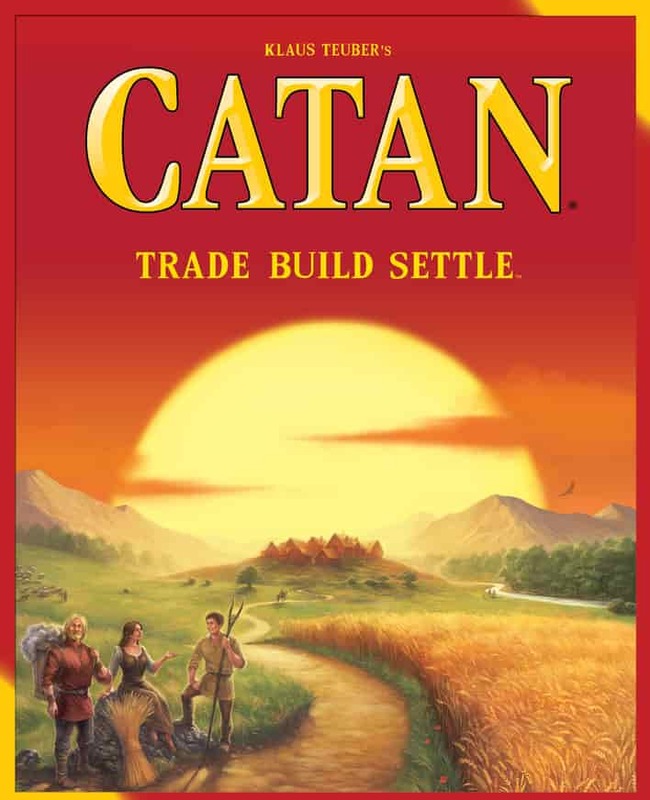 In Catan, players are recent immigrants to the newly populated island of Catan. Expand your colony through the building of settlements, roads, and villages by harvesting commodities from the land around you. Trade sheep, lumber, bricks, and grain for a settlement, bricks and wood for a road, or try to complete other combinations for more advanced buildings, services, and specials.Trade with other players, or at local seaports to get resources you might lack. The first player to achieve 10 points from a combination of roads, settlements, and special cards wins!.